Our wedding planners always keep an eye out for the latest trends. While plenty of brides still opt for classic and traditional choices, many couples choose to go mod by putting a trendy spin on their wedding details – everything from flower to favors, and everything in between. Here are just a few of the wedding trends we’ve noticed this year at Disney’s Fairy Tale Weddings. The first dance between a husband and his new wife is always a beautiful sight. And now, many couples are spicing up their routine a bit. Whether it’s a choreographed number they worked weeks to perfect, a zany upbeat tempo destined to be the next YouTube frenzy, or an elaborate pantomime complete with props, brides and grooms are finding new and interesting ways to two-step through their first dance. The traditional posed wedding shots are quickly becoming a thing of the past. More and more I see couples selecting photography options that better highlight their individual style. This couple chose a sunset theme for their engagement portraits at the Walt Disney World Resort, allowing the photographer to snap natural shots of them as they cuddled on the beach. Wedding photos can be fun too! The great thing about getting married at one of our parks or resorts is that you have a wealth of unique backgrounds for your bridal shots. 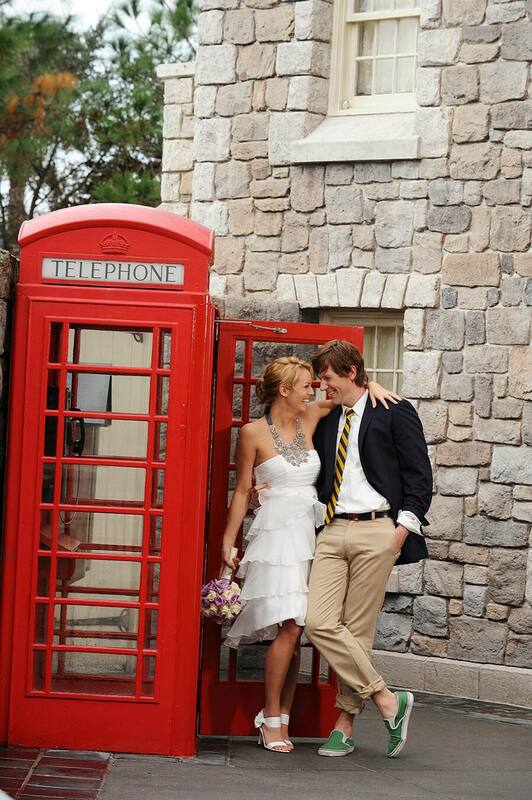 This adorable photo was taken in World Showcase at Epcot. On your wedding day you are a star, why not feel like one? 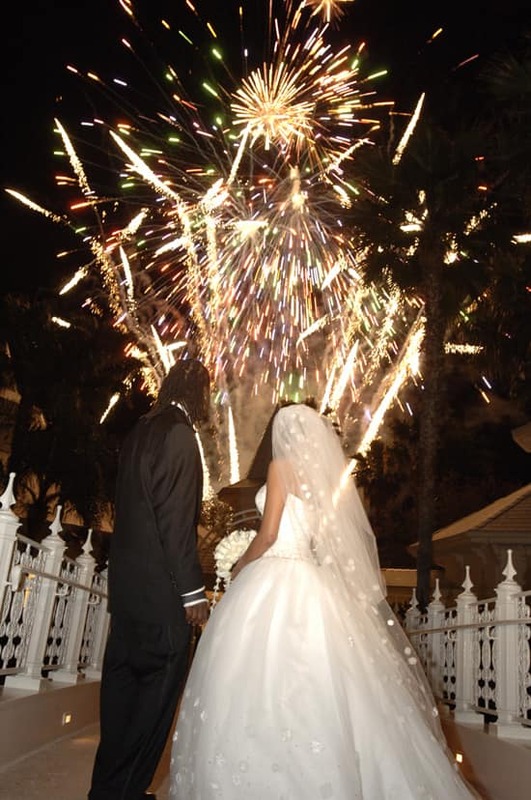 Grand exits are all the rage for our brides, who are choosing to end the night with a bang by surprising their guests with a private fireworks show. This is the perfect example of an element that really makes a Disney’s Fairytale Wedding unique … and it certainly adds to the happy couple’s celebrity status! Wedding favors also come in and out of popularity. Right now edible is “in” – in a big way! 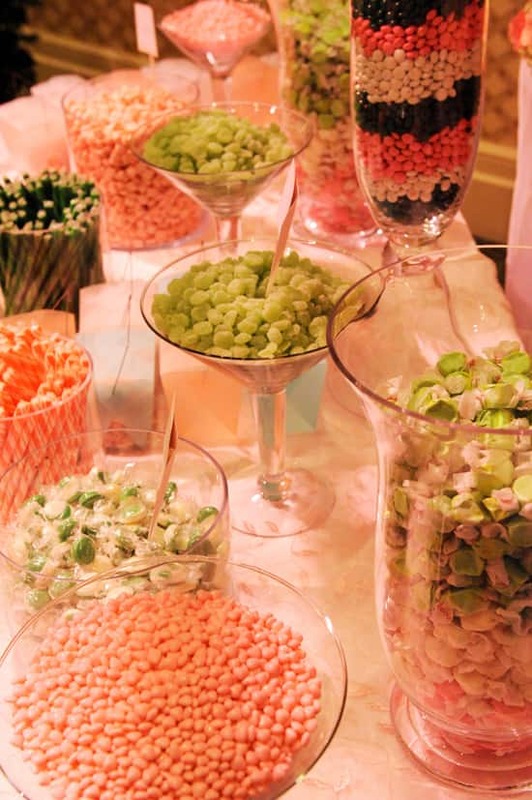 Tasty treats can match the theme of a wedding while looking good arranged in attractive bowls and glasses of all shapes and sizes. Leave each guest a goodie bag for collecting their favorite treats from the bar and it makes for a delicious take-away they’re sure to favor. Bridesmaids throughout the years have relished the honor of standing beside a friend on her big day while simultaneously fretting about the way they look in a dress that doesn’t flatter. Whether a bride allows her maids to all pick their favorite frock in any shade of fuchsia or, like a recent Disney Cruise Line wedding on Castaway Cay, simply tells them to pick something “beachy,” many of today’s bridesmaids are free to express their style in a way that suits them perfectly. Did you see my tweet? Couples are getting the word out about their special day in lots of new ways. Modern brides and grooms get their loved ones involved in their big day using technology and social media. Being the hipsters that we are, we here at Disney’s Fairytale Weddings use many of these same technologies to talk to you. Follow us on Twitter @DisneyWeddings and check out our Facebook page – you’ll even see a pretty cool wedding planning app there in the months to come. How trendy is that? I can not wait until mine and my future wifes Disney Wedding on Jan 25, 2011! A week from today is our first onsite wedding planning session at Walt Disney World, oh happy day! Our honeymoon starts the very next day Jan 26, 2011 aboard The Disney Dream’s madien voyage, Woot! We will be amoung the very first, if not the first, to honeymoon aboard The Dream!! Hubby and I could not afford a Disney Fairy Tale Experience, but we did have a Disney wedding! Had our welcome dinner at Old Key West in a Grand Villa (we are members so that cost us nothing), had our rehearsal dinner at Illuminations at a private desert party over in Italy Isola (very affordable for 30 guests), had the ceremony at a lovely offsite chapel, the reception was at Wolfgang Puck in Downtown Disney (who were amazing to work with) and finished off with portraits in Epcot the next day. We made our own Disney experience with a budget and some planning. No lack of pixie dust at all!!! That couple on the beach are amazing well lit considering the sun is behind them and behind a building across the water. It really is a testament to the professionalism and talent of the Disney photographers to get that great a photo without having to Photoshop the couple into their “natural” shot on the beach at sunset. 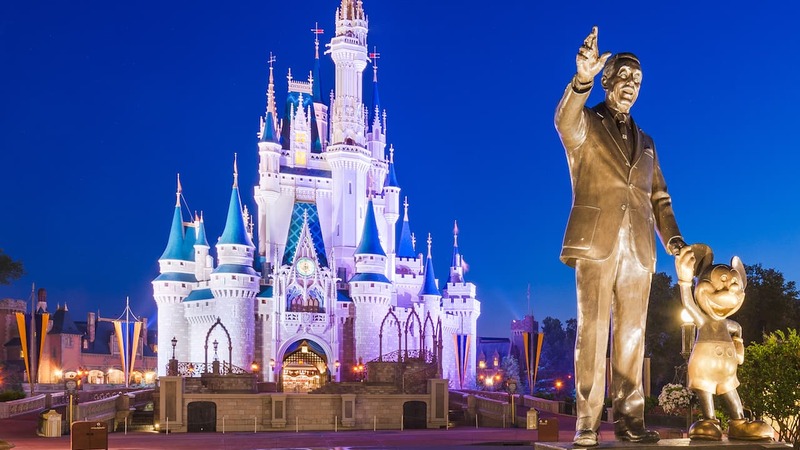 But when you are paying the price for a Disney wedding, you can also afford to rent the best lighting equipment for the special occasion. We had a Disney Fairy Tale Wedding four weeks ago (May 27) – absolutely the best decision we’ve ever made and a dream come true. It’s definitely something we will remember for the rest of our lives. Wish we could afford to get married in Disney World. At least we get to honeymoon there in Sept. Definitely looking into a private photo session for some memorable shots of the special trip. Theresa! I could not agree with you more! Once I find a guy, I want a Disney Halloween wedding. We had an intimate wedding at Disney’s Wedding Pavilion with an Illuminations Dessert Party instead of a rehearsal dinner. I would have picked a different wedding coordinator, but on the whole the experience was fabulous. It was perfect for us! My wife and I have discussed a small renewal ceremony at our 20th or 25th anniversary at Walt Disney World. We would love to come and bring about 30 people with us to celebrate the occasion. Wish we would have known the awesomeness that is Disney 10 years ago……it would have been our first choice for our wedding! !